weincasting! » Dr. Niles Crane Quotes XII. Dr. Niles Crane Quotes XII. Carla: Hey, white-bread. What could possibly be wrong on this most wonderful of nights? 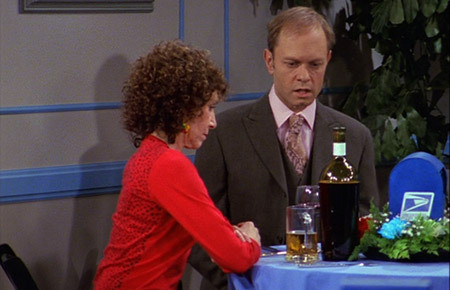 Niles: Oh, no offense, it’s just we had reservations at one of the finest restaurants in Boston, and instead we’re eating trail mix and drinking this… oh, dear God, it’s just labeled “Wine”. Dr. Niles Crane is a fictional character on the American sitcom Frasier. Niles is the younger brother of Dr. Frasier Crane. Dr. Niles Crane Quotes XIV. Dr. (Niles) Frasier Crane Quotes XIII. Dr. Niles Crane Quotes VII. Dr. Niles Crane Quotes XI. Dr. Niles Crane Quotes IV.